How's everyone doing? I've been feeling better (I still have a few downs, but I'm fighting all this whirlwind of emotions) and thankfully Autumn has arrived in full force. Beautiful leaves fall from the trees, rainy nights, warm tea and my cats are already fighting for the better spot on my bed (the closest to me, the better... but only because I'm a source of warmth not because they are also fighting for my love). It finally smells like Autumn! 🍁 I finished the first chapter of my MA thesis. I'm not one hundred percent happy with it and even though I sent it to my supervisor last Friday, I'm already planning a few changes. I wonder if this thesis will ever be finished because I always want to change sentences, write new thoughts and add a thousand citations. 🍂 And because of my thesis, my week was uneventful. That was pretty much all that I did this week: write, rewrite and delete. 🍁 Yep, I lived the insane life of a writer. 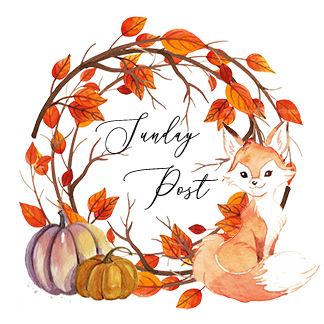 🍂 I discovered another perfect Autumn gif and, of course, it features a cat. I can imagine my cats doing this. Where can I get so many leaves? I joined the first prompt of Blogoween. I participated on the Halloween Creatures Tag 2.0. This post contains lots of fangirling, ghosts and gifs from The Nightmare Before Christmas. Halloween yet? 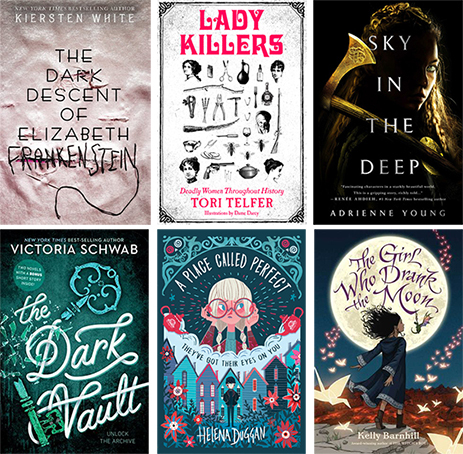 Because Halloween is still so far away (and I know a lot of people need to stock their piles with all the creepy books) yesterday I shared with you some Halloween books that may be perfect to read while we wait for the most terrifying night of the year. Also, this week I was lucky to be part of the tour that revealed the cover of The Whatever End by Lindsey Frydman. Happy week Booklovers! Is it Halloween yet? I love Autumn, it's such a pretty time of year! You've got some great books there. I'm liking the look of ALL of those in your Mini Book Haul... will look 'em up! Here's my Sunday Wrap Up Post. Looking forward to seeing your there. Thank you! Autumn is a beautiful season. I don't get it why some people don't enjoy it. Just look at the colours! I hope any of these books grabs your attention. Can it be Halloween already? Or can we celebrate Halloween throughout the entire month? I understand how you feel - I need to write one more chapter for my thesis and it makes me so anxious. Aww, thank you Evelina. I think the fox is very lovely. *. * It's okay, you don't have to apologize. No matter what life throws at us, we have to survive. Just get through the storm and things will get better. Hopefully. I truly hope now that the season has finally arrived (I missed the rain), I'll have better days. The nature looks so beautiful that it always put a smile on my face. :) Ahah, cats and leaves are the cutest! After our conversation and reading your post on MG books to fix Autumn blues, I knew that was what I needed to feel better. I wanted to buy The Extremely Inconvenient Adventures of Bronte Mettlestone (it sounds so good) but I got these instead because they were on sale. Wishes of a good week! Thank you. That's so good to know. I can't wait to read Sky in the Deep - my expectations are high. It can be frustrating, but, hopefully, it'll pay off for both of us. Hooray for making progress on your thesis. That's awesome! Both those MG books are on my TBR. I have been loving all the MG I have been reading, and want to keep reading a few every month. Thank you. I can't believe I finally wrote a chapter. :) I'm hoping to read at least one MG per month. I need more fluffy magical stories in my life. I love fall so much and that GIF is great!! Looks like a great book haul. Enjoy them and have a great week! Haha, that gif is totally me. I hope you like Sky in the Deep because I really want to read that one. Good luck with your thesis! Have a great week. Thank you (I hope to read it soon) & thank you (just two more chapter and it's over). Happy readings, AJ! Yes, it does smell like fall! Glad your thesis is coming along well. I like the look of The Girl Who Drank the Moon. Enjoy your reading and writing week! Yesterday felt like it was the first full Autumn day here and I loved it! That is a great fall gif ^_^ Congrats on finishing the first chapter of your thesis, I know that's a really hard process but know that your readers are rooting for you! I'm glad to hear that you're starting to feel better. Autumn always puts me in a better mood too. It's just such a beautiful and colorful time of year. Congrats on getting a chapter finished on your MA thesis. That's a huge accomplishment! I like autumn in some ways - the leaves changing color, the excuse to wear sweaters and drink hot chocolate, but I miss the heat and sun of summer. Congrats on completing the first chapter of your thesis. Hope you get some great feedback from your supervisor. I’ve heard great things abou Sky in the Deep. Can’t wait to hear what you think of it! I love autumn, the leaves changing and the cooler nights are my favourite. Well done on submitting the first chapter of your MA thesis, I think it's the kind of thing you will be constantly working on but the fact that you are thinking of new things to add can only be good because at least you're not out of ideas and struggling of ways to work on it. Maybe wait for feedback before making changes though because you can definitely do to much to really good work. And I didn't even know The Dark Vault was coming out, love that cover! LOL, I think we can all relate to losing control and you kind of needed a reward after first part of thesis. Yes? Hope this week is inspiring! congrats on finishing the thesis.